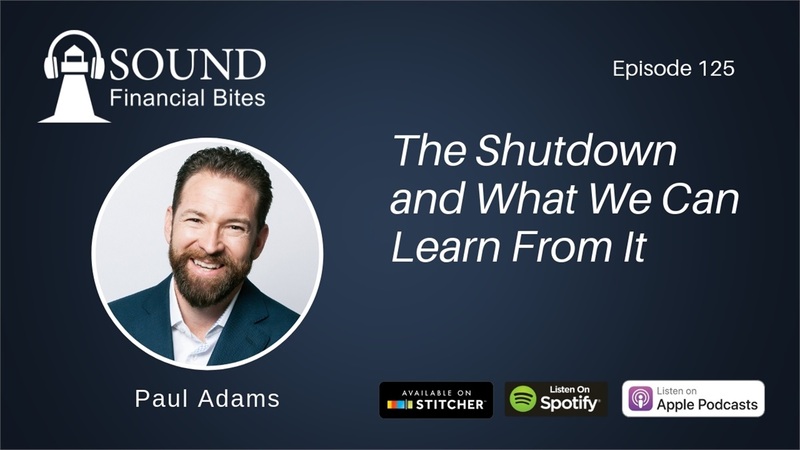 In this episode, we talk about the government shutdown and the personal and financial lessons we can learn from it. It’s impossible to know what the future holds, so it’s important for us to plan for our own ‘government shutdown,’ or unforeseen financial hardship. Paul identifies three simple, yet effective, steps to build a sound financial foundation in order to weather even the worst shutdowns. To start, Paul suggests setting aside three months of actual expenses. Next, he stresses the importance of building up to one year of liquidity. Paul also advises having a mid-term bucket available to handle situations where hardships last more than a month but less than a year. Finally, Paul encourages the audience to not fall victim to these financial circumstances. He urges them to take the lessons we learn from this government shutdown to become more financially responsible in the year ahead. Smart and effective preparation today will lead to financial dividends tomorrow.